attention to the built environment through a focus on public space and mobility, two areas where impacts on child development are important but less well understood than they are in other areas such as access to early childhood services, sanitation, healthcare or housing. With Urban95, we work with cities and urban entrepreneurs to identify and scale ideas to change the way families with young children live, play, interact and move through cities. We also work with media partners and influencers to raise awareness among urban decision-makers of what urban babies, toddlers and caregivers need, and with urban design and planning firms to develop training classes and tools for practitioners. At the heart of Urban95 are partnerships with cities committed to taking promising practices from pilot to scale. Among the first city partnerships was with Tel Aviv, Israel. Urban95 seeks to improve two critical factors in early childhood development – the quality and frequency of interactions between young children and their caregivers, and the well-being of these caregivers – through the provision of early childhood services, public space, transport, planning, land use and data management in cities. are always to be found with their caregivers. This means walkable neighbourhoods that cater for the basics a young family needs, public spaces close to home that attract all generations while allowing small children to explore safely, and reliable transport that makes it easy, affordable and enjoyable for families with young children to travel where they need to go. Through our city partnerships and the Urban95 Challenge, our small innovation grants programme, we are finding many promising ideas at both pilot and city- wide scale. Some examples are described below. We expect many more as our partners progress with their work. Urban parenting messages. Adapted from those developed for Boston Basics, messages to encourage parents to talk, sing and play with their young children have appeared on digital advertising hoardings across São Paulo. Connecting caregivers with municipal services for families. Tel Aviv has launched Digitaf or ‘digital for toddlers’, an online platform to connect parents with healthcare, childcare, public events for families, discounts from local shops and tips on parenting. A sensory park for children with special needs. In Bhubaneshwar, India, the municipality is building a sensory park that includes special spaces and facilities for children with visual difficulties and other disabilities. 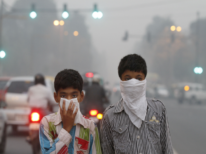 Mobilising families to monitor and advocate for better air quality. In Turin, Italy, ‘Che Aria Respiro’ is working with children and caregivers to monitor air quality, test pedestrian-only zones and engage in local advocacy. Maps to improve road safety. In Mexico City, ‘Liga Peatonal’ mapped existing data on traffic accidents to locate dangerous crossings near schools and childcare services. The maps gained significant public attention and are being used to influence decision making on improving road safety near schools. Demonstrating interventions at neighbourhood level. 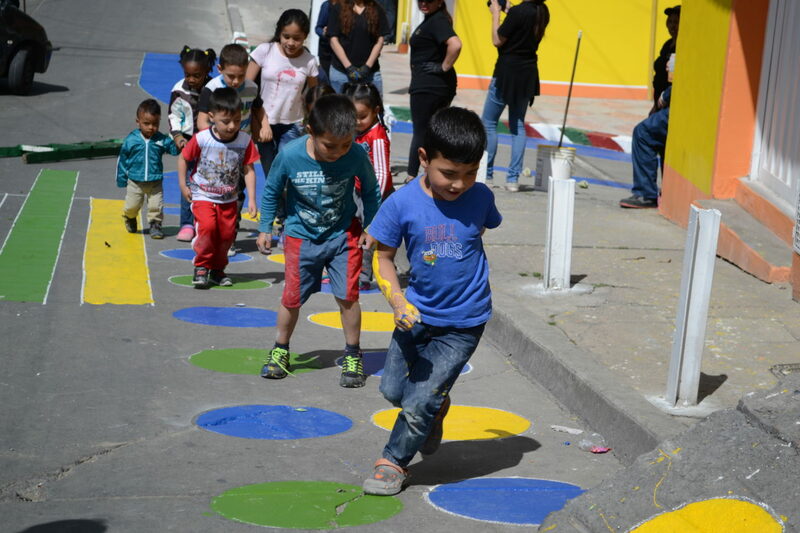 In Bogotá, Colombia and Recife, Brazil, the Children’s Priority Zone is an experimental concept to measure and demonstrate improvements in public space and mobility for young children in a defined area around an anchor point such as a childcare or community centre. Mapping city-wide inequalities in public space and family services. As part of the Istanbul95 initiative, Kadir Has University and TESEV have created a ‘social atlas’ using property values as a proxy indicator for poverty. An urban Chief Child Development Officer. In Tirana, Albania, Mayor Erion Veliaj has appointed a new officer to audit current city policies and programmes for their impact on young children and make recommendations. We are learning much so far. Most importantly, we have learned to talk about the specific needs of young children and caregivers. We initially worried that city leaders would feel as if we were adding yet another ‘to do’ to their task list, so we talked instead about how Urban95 initiatives benefit the whole city – for example, widening footpaths and adding dropped kerbs help both adults with pushchairs and adults in wheelchairs. But we were soon told by city leaders that early childhood initiatives get broad political support, and better understanding the needs of young children creates a sense of purpose. We have learned that addressing young children’s needs requires effective collaboration across city agencies – such as planning, health, education, social welfare, parks and recreation, and transport – and that this requires a mandate from top leadership, dedicated staff and shared data. It helps with political buy-in to position initiatives as benefiting all families, not just specific vulnerable groups. This also avoids stigma in taking up services. Engaging the community is necessary to gain public support and encourage greater use and maintenance of public space. It helps to ‘think small’: inexpensive, quick and temporary projects, like painting coloured patterns and lines on roads to encourage cars to slow down, can demonstrate success and build support. And it helps to ‘think different’, looking for opportunities to influence existing budgets before asking for new funds. But ultimately we need to ‘think big’, aiming for toddler-scale and even car-free neighbourhoods where all children have what they need both to survive and to thrive. A recent blog by Project for Public Spaces (2018) quotes Lewis Mumford: ‘Let’s forget the damned motor car and build cities for lovers and friends.’ We’d add only: ‘and babies and their parents’. "‘Through our city partnerships and the Urban95 Challenge, we are finding many promising ideas at both pilot and city- wide scale.‘"
More information on our Urban95 work and partners can be found at: www.bernardvanleer.org/urban95. For readers interested in learning more about different organisations’ and researchers’ approaches to these issues, here are some suggested further readings. We’d love to hear of others, particularly from other parts of the world. CityLab (www.citylab.com), one of the world’s leading sources for news on urban trends, policies and innovations, running a series funded by the Bernard van Leer Foundation in 2018. Last but not least, for a beautiful essay on urban planning from the perspective of a toddler, see Eric Feldman’s ‘Child-friendly cities: what my toddler taught me about city design’ (2015).